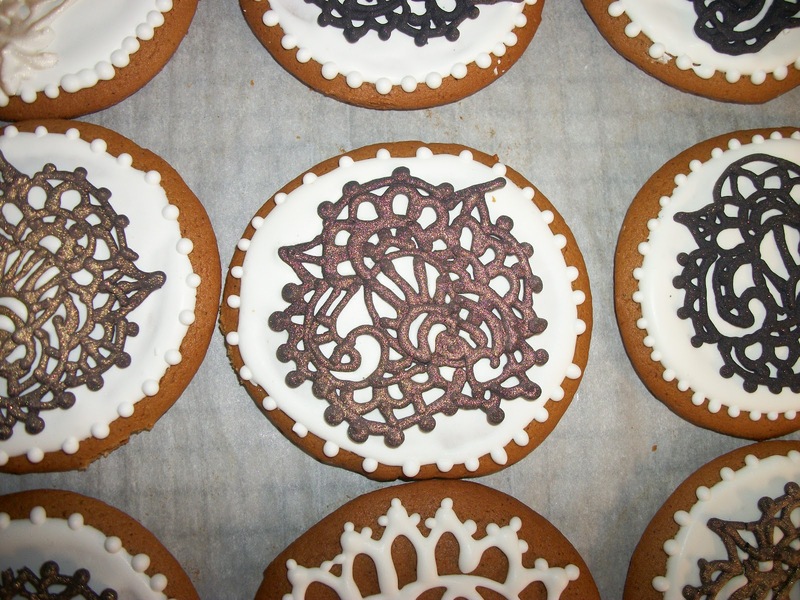 First gingerbread cookies out of the oven and decorated for the season! Ever since I saw this tutorial, I have been dreaming of making these henna tattoos for cookies. 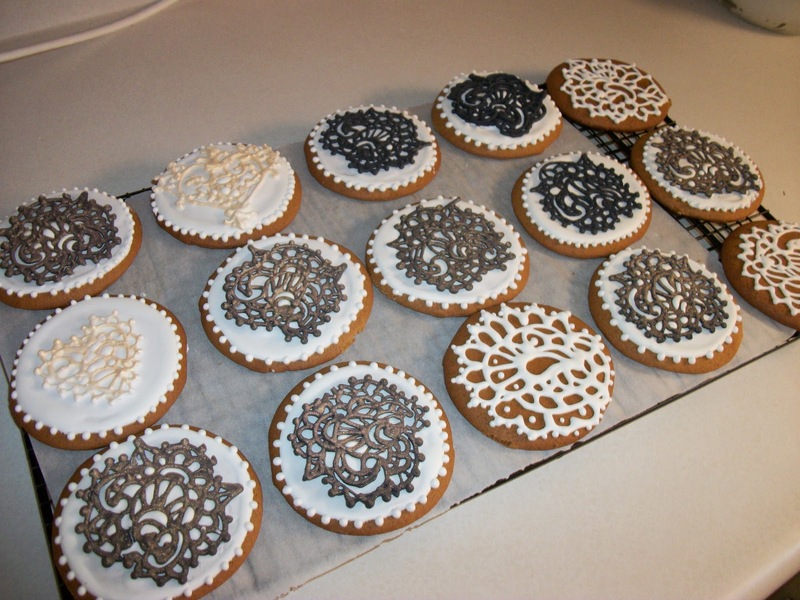 As soon as I had a bag of extra black royal icing, I went to work. Even had some gold spray to try out on the black tattoos. I was able to print the pattern from Oh Sugar Events tutorial and it worked great! Although I googled other henna tattoo patterns, wasn't brave enough to try an original design. Wait, I did. I found a fabulous intricate heart shape and made a dozen of those. See the two white on white in the picture? Those were the only ones to survive. 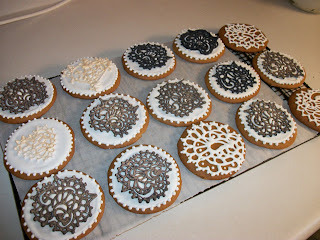 I think that bowl of royal icing was too thin. Maybe if I had piped a second layer it would have helped. As usual, consistency with Royal Icing is the key to success. I only had two of the tattoos break when I removed them from the parchment paper. 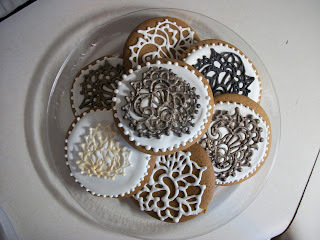 My favorites are the cookies that I piped the pattern directly on the cookie. Something about the golden brown gingerbread with crisp white frosting. I love it! 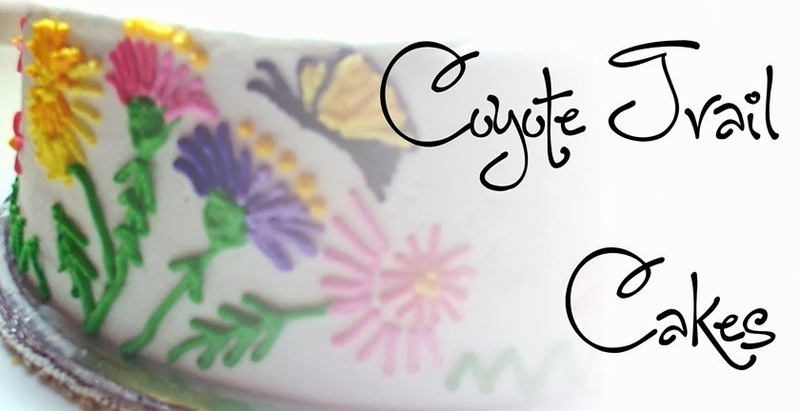 This recipe is a treasured favorite from the days when all my children were young and my neighbor and I would swap recipes and cookies, whiling away the afternoon. Coffee Cup Cookie with your Cup of Coffee?